Only 3 Custom Trail Boss models left in stock! CUSTOM!! DOUBLE CAB!! 4WD!! INFOTAINMENT PACKAGE!! 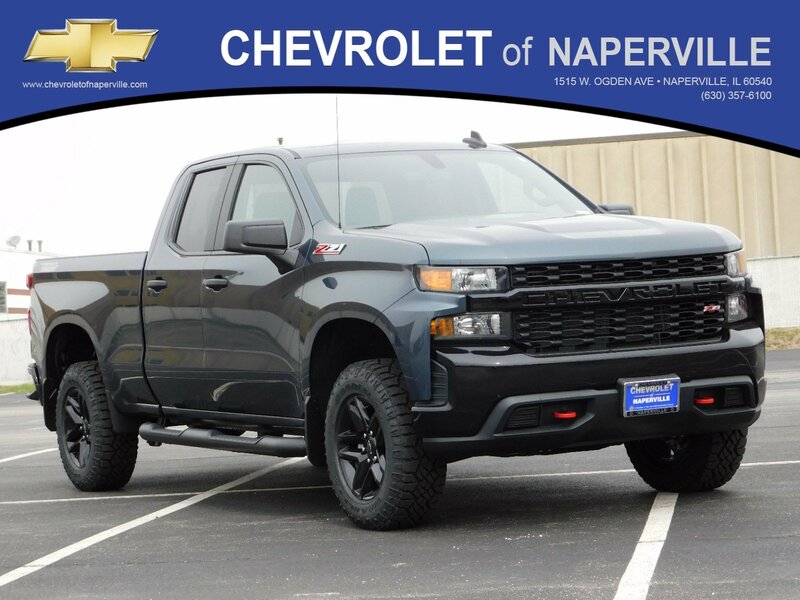 2019 CHEVROLET SILVERADO LD 1500 4WD CUSTOM, SHADOW GRAY METALLIC ON JET BLACK CLOTH SEATING, 5.3L V8 ECOTEC3 ENGINE UNDER THE HOOD, 6-SPD AUTOMATIC TRANSMISSION, 22 HWY MPG!! LETS GO OVER ALL THE OPTIONS ON THIS WORK HORSE!! CUSTOM CONVENIENCE PACKAGE INCLUDING: REMOTE VEHICLE STARTER, REAR WINDOW DEFOGGER, LED CARGO LIGHTING, TAILGATE WITH LIFT ASSIST AND POWER LOCK, 18 HIGH GLOSS BLACK ALUMINUM WHEELS…. 3.7 COLOR TOUCHSCREEN, APPLE CAR PLAY, TRAILER BRAKE CONTROLLER 4G LTE WI-FI HOTSPOT, REAR VISION CAMERA, ENHANCED AUDIO SOUND, 4 INCH BLACK TUBULAR ASSIST STEPS, POWER WINDOWS, POWER LOCKS, REMOTE LOCKING TAILGATE, POWER HEATED OUTSIDE MIRRORS, INFOTAINMENT PACKAGE INCLUDING: SIRIUSXM, ONSTAR, AND WI-FI HOTSPOT CAPABLE… ALL LOADED UP AND READY TO GO!! 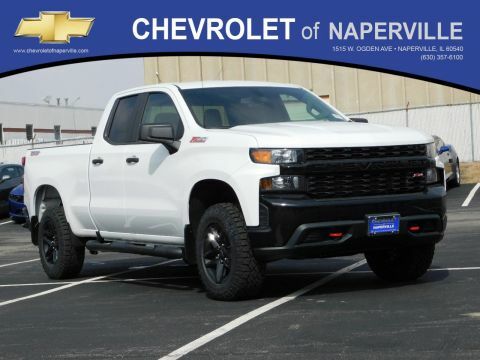 NOW…LETS TALK WARRANTY….YOU GET A FULL 36 MONTH OR 36,000 MILE BUMPER TO BUMPER COVERAGE, PLUS 5 YEAR OR 60,000 MILE POWERTRAIN COVERAGE, ONLY THING LEFT FOR YOU TO DO IS COME ON DOWN AND TAKE THIS LOADED UP SILVERADO FOR A SPIN AROUND OUR FAMOUS CHEVROLET OF NAPERVILLE TEST TRACK!! FIRST ONE HERE WINS…SEE YA SOON…ONE LOW PRICE, PLAIN AND SIMPLE…ALWAYS!! Price includes all rebates in lieu of special financing their may be other rebates that you qualify for. 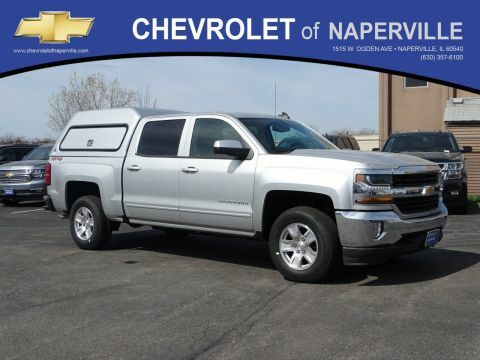 Please call$2,000 – Silverado 1500 w/PDU/PEB Incremental Consumer Cash. Exp. 01/31/2019, $1,500 – General Motors Consumer Cash Program. Exp. 01/31/2019 Price includes all rebates in lieu of special financing their may be other rebates that you qualify for. Please call $2,000 – Chevrolet Conquest Purchase Private Offer. Exp. 04/30/2019 Must finance through General Motors Finance. CUSTOM!! DOUBLE CAB!! 4WD!! INFOTAINMENT PACKAGE!! 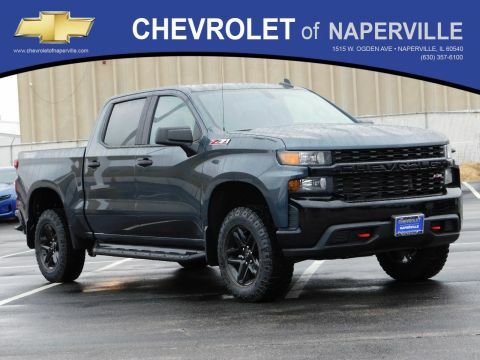 2019 CHEVROLET SILVERADO LD 1500 4WD CUSTOM, SHADOW GRAY METALLIC ON JET BLACK CLOTH SEATING, 5.3L V8 ECOTEC3 ENGINE UNDER THE HOOD, 6-SPD AUTOMATIC TRANSMISSION, 22 HWY MPG!! LETS GO OVER ALL THE OPTIONS ON THIS WORK HORSE!! CUSTOM CONVENIENCE PACKAGE INCLUDING: REMOTE VEHICLE STARTER, REAR WINDOW DEFOGGER, LED CARGO LIGHTING, TAILGATE WITH LIFT ASSIST AND POWER LOCK, 18 HIGH GLOSS BLACK ALUMINUM WHEELS.... 3.7 COLOR TOUCHSCREEN, APPLE CAR PLAY, TRAILER BRAKE CONTROLLER 4G LTE WI-FI HOTSPOT, REAR VISION CAMERA, ENHANCED AUDIO SOUND, 4 INCH BLACK TUBULAR ASSIST STEPS, POWER WINDOWS, POWER LOCKS, REMOTE LOCKING TAILGATE, POWER HEATED OUTSIDE MIRRORS, INFOTAINMENT PACKAGE INCLUDING: SIRIUSXM, ONSTAR, AND WI-FI HOTSPOT CAPABLE... ALL LOADED UP AND READY TO GO!! 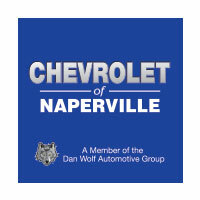 NOW...LETS TALK WARRANTY....YOU GET A FULL 36 MONTH OR 36,000 MILE BUMPER TO BUMPER COVERAGE, PLUS 5 YEAR OR 60,000 MILE POWERTRAIN COVERAGE, ONLY THING LEFT FOR YOU TO DO IS COME ON DOWN AND TAKE THIS LOADED UP SILVERADO FOR A SPIN AROUND OUR FAMOUS CHEVROLET OF NAPERVILLE TEST TRACK!! FIRST ONE HERE WINS...SEE YA SOON...ONE LOW PRICE, PLAIN AND SIMPLE...ALWAYS!! Price includes all rebates in lieu of special financing their may be other rebates that you qualify for. Please call$2,000 - Silverado 1500 w/PDU/PEB Incremental Consumer Cash. Exp. 01/31/2019, $1,500 - General Motors Consumer Cash Program. Exp. 01/31/2019 Price includes all rebates in lieu of special financing their may be other rebates that you qualify for. Please call $2,000 - Chevrolet Conquest Purchase Private Offer. Exp. 04/30/2019 Must finance through General Motors Finance.